Communication: All of Delta’s drives are configured with Modbus communication protocol, and allows for communication between many devices connected to the same network. Communicating outside of the Modbus network with Device Net, Profibus, LonWorks and CANopen can be accommodated by using our optional communication accessories. 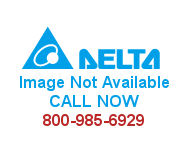 PURCHASE YOUR Delta Communication COA02 NOW!